For the first time the youth international basketball tournament in Poinconnet has two competitions running in parallel. The organisers have added a U17 club competition as part of the 10-year celebration. 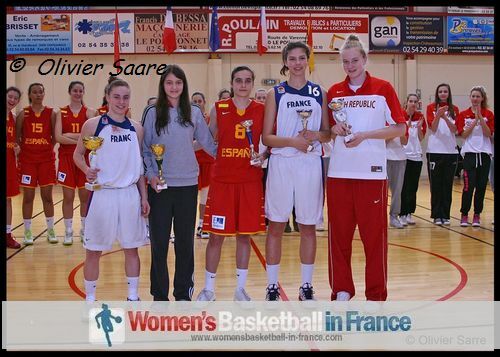 For the 11th U16 international basketball competition, France are joined by the Czech Republic, Spain and Turkey. In the club competition the hosts Le Poinçonnet are joined by three teams that play in the French national championships: Feytiat, Olivet and Thouars. 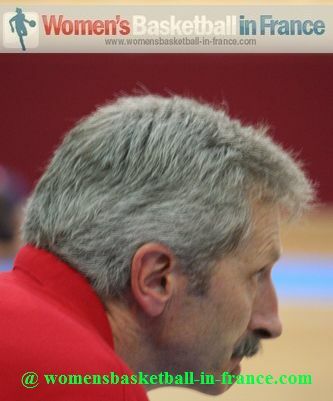 womensbasketball-in-france.com only covers the international event which is also considered to be an official preparation tournament for the U16 European Championship. Evaristo Pérez (in picture), the head coach of Spain, is back for the his third consecutive tournament. His team won this event in 2011 and are the current U16 European Champions. The Czech Republic and Turkey finished 6th and 13th during the 2012 U16 European Championship for Women Division A and are hoping to be doing better this year. The Czech Republic are bringing a completely new team to this competition while Sevgi Uzun is the only player on the Turkish roster that represented Turkey in 2012. The French roster which includes the MVP from last year Alix Duchet is made up of 14 players from the training camp held in Bourges. The organisers of the Poinçonnet tournament are flexible in allowing the teams to travel down with more than 12 players. However only a maximum of 12 players can be played per match.